Paris, 1929. 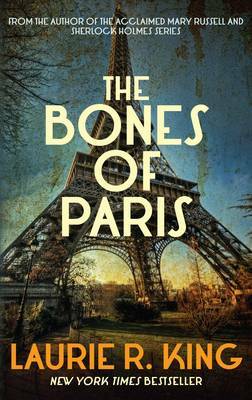 For Harris Stuyvesant, his current assignment is a private investigator's dream - he's getting paid to trawl the cafes and bars of Montparnasse, looking for a pretty young woman. The missing person in question is Philippa Crosby, a twenty-two-year-old from Boston, whose family have become alarmed at her lack of communication. As Stuyvesant follows Philippa's trail through Paris, he finds that she is known to many of its famous - and infamous - inhabitants, from Shakespeare and Company's Sylvia Beach to the surrealist photographer Man Ray. But when the evidence leads Stuyvesant to the Theatre du Grand-Guignol in Montmartre, his investigation takes a sharp and disturbing turn.